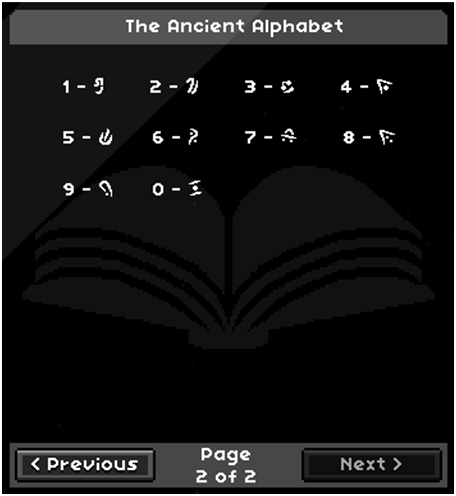 A guidebook for translating ancient runes. 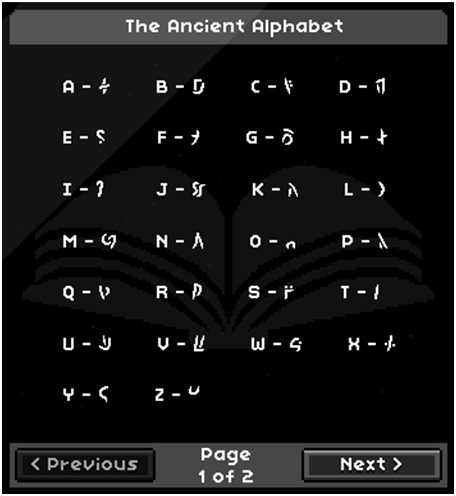 The Ancient Alphabet is a codex sold at Treasured Trophies at the outpost. It provides a key to translate the ancient language found at the Ark and other ancient sites. It requires a Left Translation Wheel and a Right Translation Wheel to purchase. This page was last modified on 2 November 2016, at 15:11.